6 p.m. to 12 m.d. 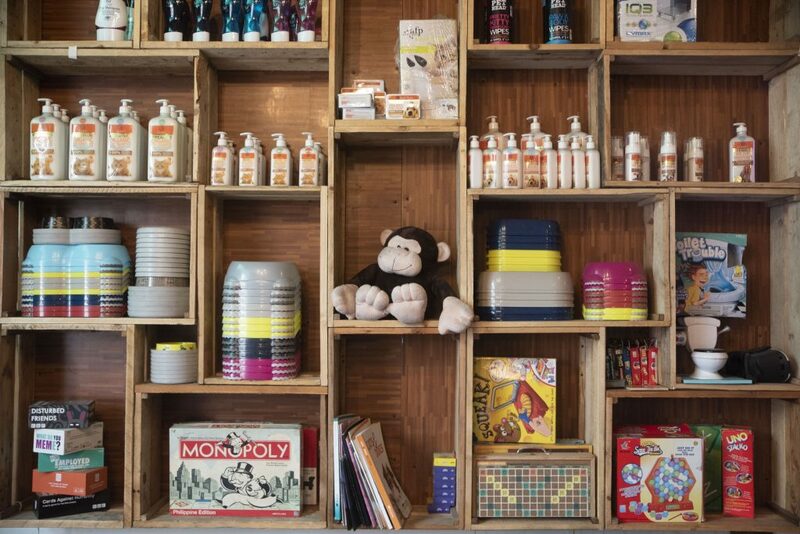 There are pet-friendly restaurants, coffee shops, and malls. But have you ever heard of pet-friendly restaurant-bar? During daytime, we can bring our favorite furry friends practically anywhere we like as long as we have their essentials and mall passes called “pawsports.” But at night, there aren’t much (or any, at all) places you can bring them to since most of the bars and restaurants open at that time environment-friendlynment friendly to pets. Most are cramped and dark, which will not just give you a hard time looking over your pet but may also stress them out. However, if you cannot resist leaving them at home on a night you’re supposed to hang with your friends—which we really understand; especially if they start to cry softly as you walk out the door—go to the metro’s newest pet-friendly restaurant instead: Comida. This way, you don’t have to ditch any of your friends (may it be the humans or the animals). 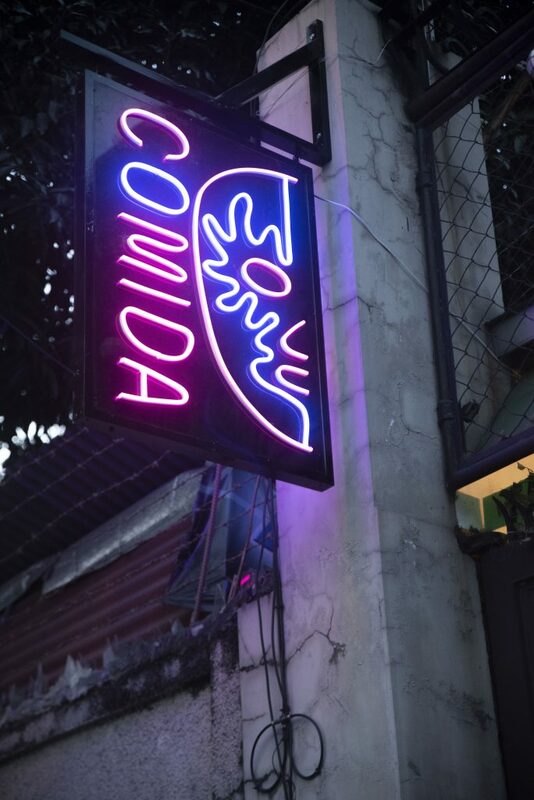 A Mexican bar and restaurant, Comida (which is a literal translation of the word “food”) turns on its neon lights with a Luchador mask every night, giving a fluorescent color and lively ambiance to a quaint neighborhood on Binmaka Street, Quezon City. As we mentioned, the resto is friendly to pets, which the owners gladly allow to roam the vicinity during operation hours. Comida also doubles as a mini version of Itspetacular, the big pet supplies store that stands next to it, and sells dog soaps and shampoos as well as pet bowls, feeders, and dishes on one side of the resto. Aside from being animal lovers, restaurant owners Melissa Ong and Karl Villaflor also happen to be strong advocates of the environment. With being eco-friendly as one of their topmost priorities, the two built everything in the restaurant with the most minimal waste possible. They started with the chairs. Villaflor, whose family business is tire manufacturing, came up with the idea of reusing their old tires as chairs. He cleaned, painted, and stacked almost a hundred pieces of it, enough to cater the resto’s 50 to 60 seaters. 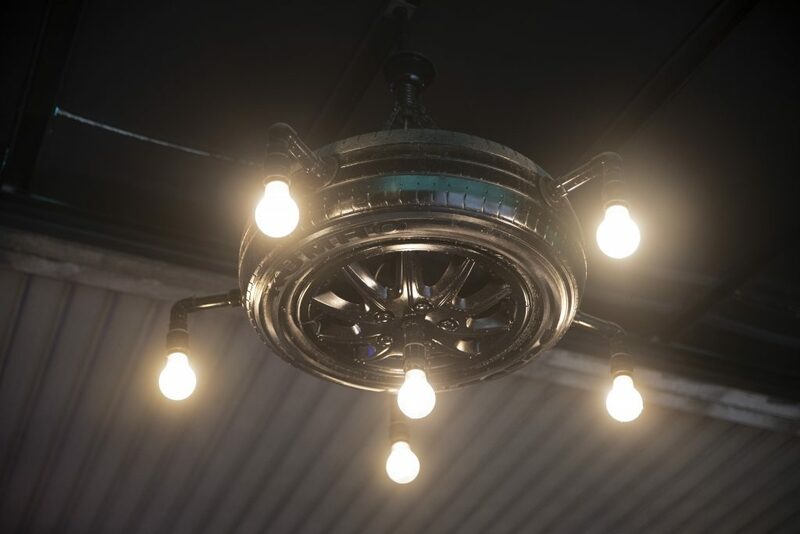 He was also able to make a makeshift chandelier and a main clock out of two more used tires. For the tables, they reclaimed old metal lawn tables and affixed a used wood over it, paired with scraps of old tiles. The surrounding wooden fences were also made of used wood, which they bought from the people at the Manila pier. The two worked hand in hand. Ong is a graduate of culinary arts while Villaflor took up hotel and restaurant management. They have been working together since their international internship that took place in Miami, which they say played a big role in the type of food they wanted to invest in, and it’s evident. From front to back of the menu, everything has Mexican or Spanish origins. 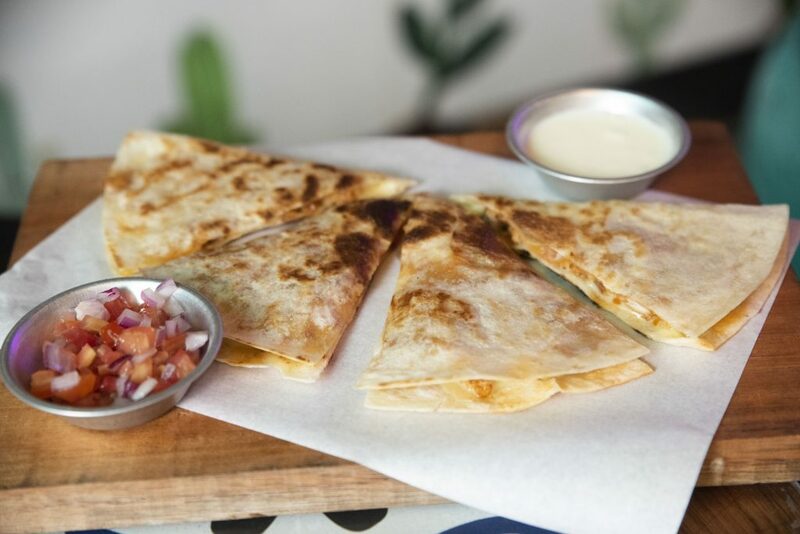 For starters, there’s the mouthwatering quesadillas that would make a thin crust cheese pizza jealous. You can choose among beef, carnitas, and chicken to complement the queso and tortilla. 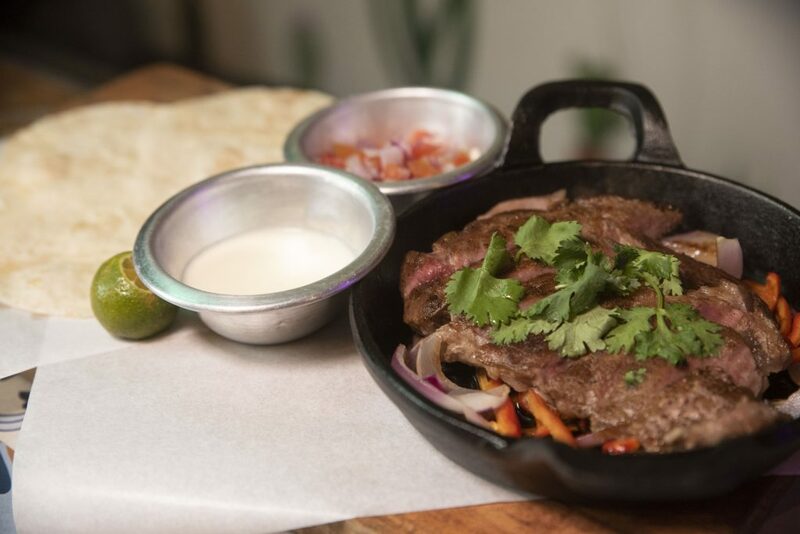 For a heavier meal, you can opt for either a platter of beef soft tacos or some juicy ribeye steak fajitas. Both are easy-to-eat and can almost pass as a pica-pica, which, when joined by minutes of conversations, won’t make you realize that you have actually finished all of it yet. 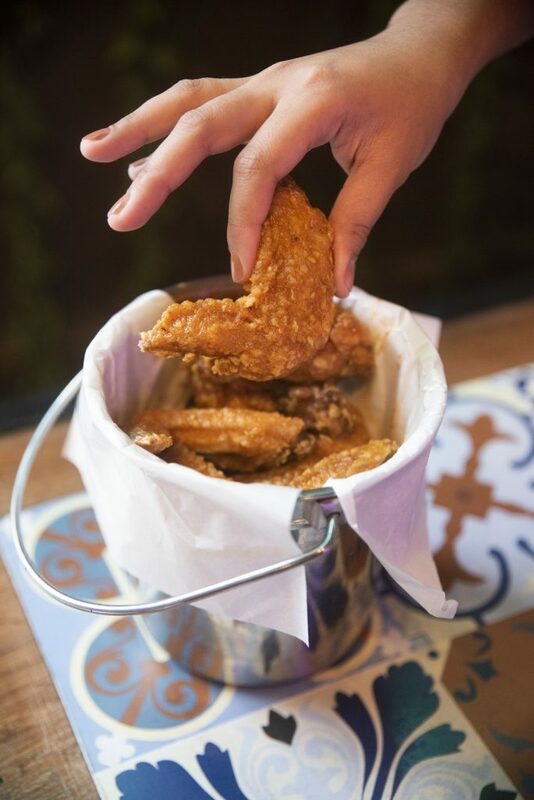 The same can be applied to their pound of zesty buffalo wings that leave a kick-in-your-mouth kind of spicy and buttery combination (no wonder why it’s dubbed as “Wicked Wings”). Aside from the buffalo sauce, these deep-fried flavorful wings can be served in five different flavors: garlic, parmesan, salted egg, honey garlic, or barbecue. Your pet may not be allowed to try some of these dishes (human food aren’t good for them!) so make sure you bring them some snacks while at Comida. Maybe soon, aside from the space to roam and play around, the owners will also offer some resto-like pet treats. 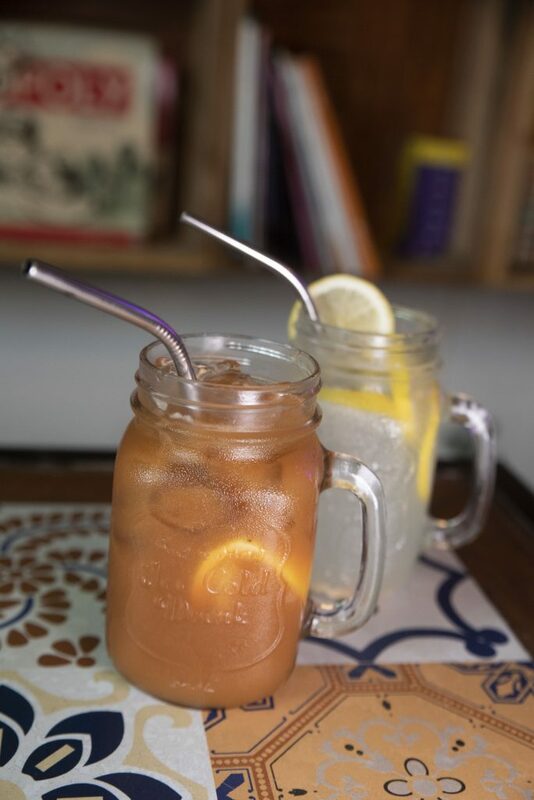 You also don’t have to tell the waiter not to give you a straw—they’ll serve your drinks with metal ones. There’s a lot going on in Comida, I know. But that’s what makes it great: it doesn’t hold back. As the only restaurant and bar in this area of Quezon City, it tries to give as much as it can—and that’s good. 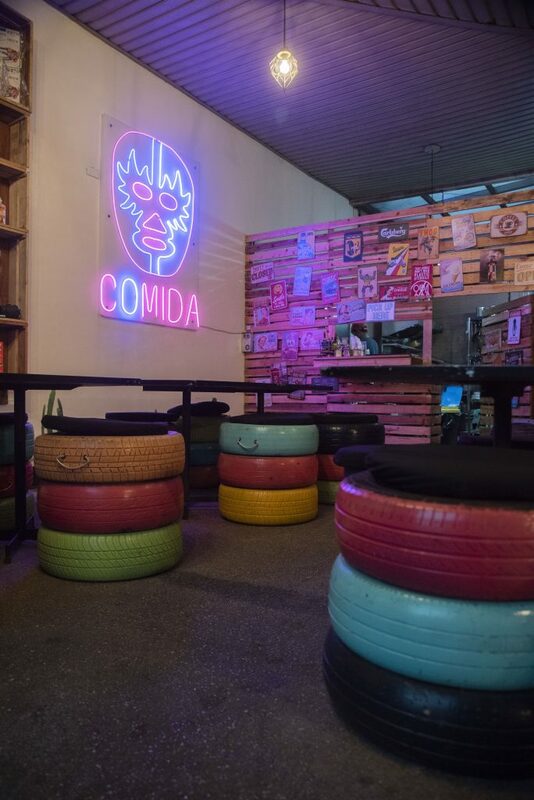 It offers both familiar and unfamiliar Mexican dishes, it uses its platform to raise awareness to relevant environmental issues, and it gives even our furry little ones a fun time with us. You don’t always get to find a resto like this.